Muscat (Arabic: مسقط‎‎, Masqaṭ [ˈmasqatˤ]) is the capital and largest metropolitan city of Oman. 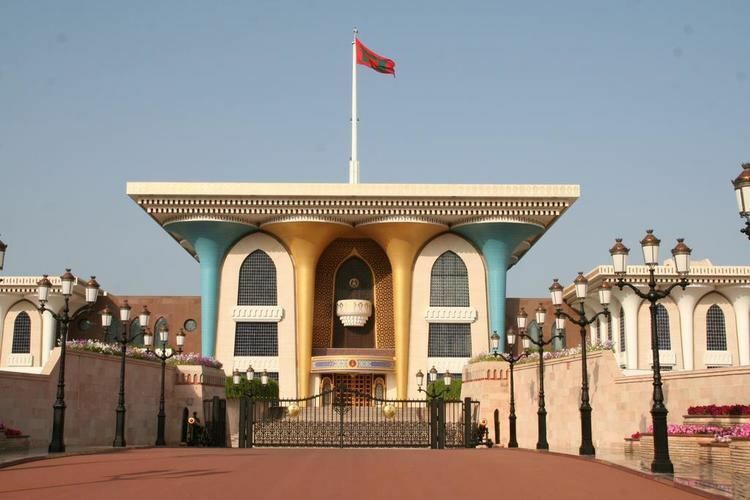 It is also the seat of government and largest city in the Governorate of Muscat. Muscat also considered as a Global City. 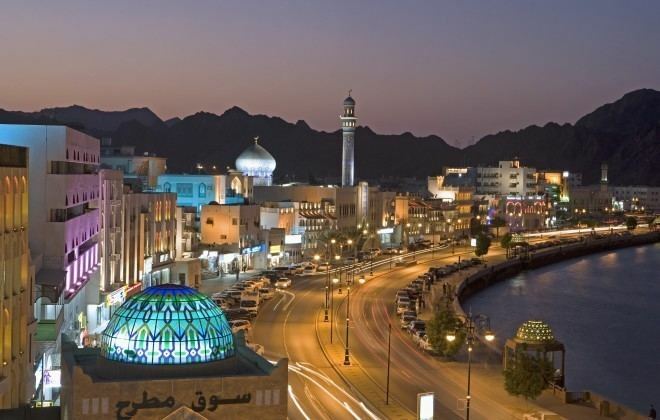 According to the National Centre for Statistics and Information (NCSI), the total population of Muscat Governorate reached 1.56 million as of September 2015. The metropolitan area spans approximately 3,500 km2 (1,400 sq mi) and includes six provinces called wilayats. Known since the early 1st century CE as an important trading port between the west and the east, Muscat was ruled by various indigenous tribes as well as foreign powers such as the Persians, the Portuguese Empire and the Ottoman Empire at various points in its history. A regional military power in the 18th century, Muscat's influence extended as far as East Africa and Zanzibar. 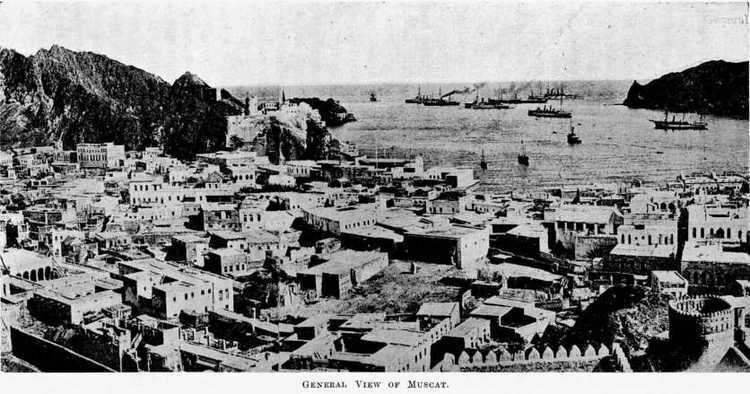 As an important port-town in the Gulf of Oman, Muscat attracted foreign tradesmen and settlers such as the Persians and the Balochis. Since the ascension of Qaboos bin Said as Sultan of Oman in 1970, Muscat has experienced rapid infrastructural development that has led to the growth of a vibrant economy and a multi-ethnic society. The rocky Western Al Hajar Mountains dominate the landscape of Muscat. The city lies on the Arabian Sea along the Gulf of Oman and is in the proximity of the strategic Straits of Hormuz. Low-lying white buildings typify most of Muscat's urban landscape, while the port-district of Muttrah, with its corniche and harbour, form the north-eastern periphery of the city. Muscat's economy is dominated by trade, petroleum and porting. With the assistance of the British, Qaboos bin Said put an end to the Dhofar uprising and consolidated disparate tribal territories. He renamed the country the Sultanate of Oman (called Muscat and Oman hitherto), in an attempt to end to the interior's isolation from Muscat. Qaboos enlisted the services of capable Omanis to fill positions in his new government, drawing from such corporations as Petroleum Development Oman (PDO). New ministries for social services such as health and education were established. The construction of Mina Qaboos, a new port conceived initially by Sa`id bin Taimur, was developed during the early days of Qaboos' rule. 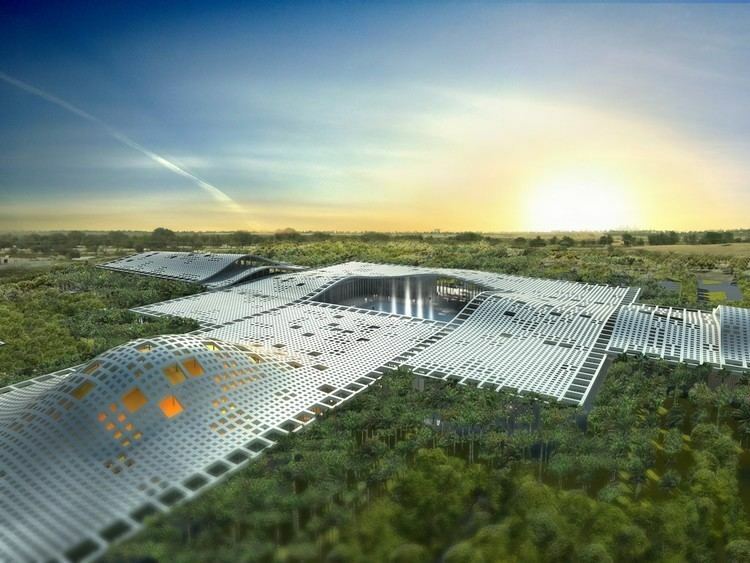 Similarly, a new international airport was developed in Muscat's Seeb district. A complex of offices, warehouses, shops and homes transformed the old village of Ruwi in Muttrah into a commercial district. The first five-year development plan in 1976 emphasised infrastructural development of Muscat, which provided new opportunities for trade and tourism in the 1980s – 1990s, attracting migrants from around the region. On June 6, 2007, Cyclone Gonu hit Muscat causing extensive damage to property, infrastructure and commercial activity. Muscat might hold the 2016 Arab League Summit. Muscat is located in northeast Oman, at 24°00′N 57°00′E. The Tropic of Cancer passes south of the area. It is bordered to its west by the plains of the Al Batinah Region and to its east by Ash Sharqiyah Region. The interior plains of the Ad Dakhiliyah Region border Muscat to the south, while the Gulf of Oman forms the northern and western periphery of the city. The water along to coast of Muscat runs deep, forming two natural harbours, in Muttrah and Muscat. The Western Al Hajar Mountains run through the northern coastline of the city. Volcanic rocks are apparent in the Muscat area, and are composed of serpentine and diorite, extending along the Gulf of Oman coast for ten or twelve 16 kilometres (9.9 mi) from the district of Darsait to Yiti. Plutonic rocks constitute the hills and mountains of Muscat and span approximately 30 miles (48 km) from Darsait to Ras Jissah. These igneous rocks consists of serpentine, greenstone and basalt, typical of rocks in southeastern regions of the Arabian Peninsula. South of Muscat, the volcanic rock strata are broken up and distorted, rising to a maximum height of 6,000 feet (1,800 m), in Al Dakhiliyah, a region which includes Jebel Akhdar, the country's highest range. The hills in Muscat are mostly devoid of vegetation but are rich in iron. The halophytic sabkha type desert vegetation is predominant in Muscat. The Qurum Nature Reserve contains plants such as the Arthrocnemum Macrostachyum and Halopeplis Perfoliata Coral reefs are common in Muscat. Acropora reefs exist in the sheltered bays of the satellite towns of Jussah and Khairan. Additionally, smaller Porites reef colonies exist in Khairan, which have fused to form a flat-top pavement is visible at low tide. Crabs and spiny crayfish are found in the waters of the Muscat area, as are sardines and bonito. Glassfish are common in freshwater estuaries, such as the Qurum Nature Reserve. The Al Sultan Qaboos Street forms the main artery of Muscat, running west-to-east through the city. The street eventually becomes Al Nahdah Street near Al Wattayah. Several inter-city roads such as Nizwa Road and Al Amrat Road, intersect with Al Sultan Qaboos Road (in Rusail and Ruwi, respectively). Muttrah, with the Muscat Harbour, Corniche, and Mina Qaboos is located in the north-eastern coastline of the city, adjacent to the Gulf of Oman. Other coastal districts of Muscat include Darsait, Mina Al Fahal, Ras Al Hamar, Al Qurum Heights, Al Khuwair and Al Seeb. Residential and commercial districts further inland include Al Hamriyah, Al Wadi Al Kabir, Ruwi, Al Wattayah, Madinat Qaboos, Al Azaiba and Al Ghubra. Muscat features a hot, arid climate (Köppen climate classification BWh) with long and very hot summers and warm "winters". Annual rainfall in Muscat is about 10 cm (4 in), falling mostly from December to April. In general precipitation is scarce in Muscat, with several months on average seeing only a trace of rainfall. However, in recent years, heavy precipitation events from tropical systems originating in the Arabian Sea have affected the city. Cyclone Gonu in June 2007 and Cyclone Phet in June 2010 affected the city with damaging winds and rainfall amounts exceeding 100 mm (4 in) in just a single day. The climate generally is very hot and also very humid in the summer, with temperatures frequently reaching as high as 40 °C (104 °F) in the summer. Mina'a Sultan Qaboos, Muscat's main trading port, is a trading hub between the Persian Gulf, the Indian subcontinent and the Far East with an annual volume of about 1.6 million tons. However, the emergence of the Jebel Ali Free Zone in neighboring Dubai, United Arab Emirates, has made that port the premier maritime trading port of the region with about 44 million tons traded in cargo annually. Many infrastructural facilities are owned and operated by the government of Oman. Omantel is the major telecommunications organization in Oman and provides local, long-distance and international dialing facilities and operates as the country's only ISP. Recent liberalization of the mobile telephone market has seen the establishment of a second provider — Nawras. Like the rest of Oman, Arabic is the predominant language of the city. In addition, English, Balochi, Swahili and South Asian languages such as Hindi, Konkani, Gujarati, Malayalam, Tamil and Urdu are spoken by the residents of Muscat. Islam is the predominant religion in the city, with most followers being Ibadi Muslims. Non-Muslims are allowed to practice their religion, but may not proselytize publicly or distribute religious literature. Visitors are also encouraged to visit Old Muscat and the Old Palace. The main shopping district is situated in Al Qurum Commercial Area, however shopping malls are spread out throughout the city. One of the largest malls in Oman is Oman Avenues Mall, located in Ghubra. The main airport is Muscat International Airport around 25 km (16 mi) from the city's business district of Ruwi and 15 to 20 km from the main residential localities of Al-Khuwair, Madinat Al Sultan Qaboos, Shati Al-Qurm and Al-Qurm. Muscat is the headquarters for the local Oman Air, which flies to several destinations within the Middle East, the Indian Subcontinent, East Africa and Europe. Other airlines such as Qatar Airways, Turkish Airlines, KLM, SriLankan, Royal Jordanian, British Airways, PIA, Jet Airways, Lufthansa, Emirates, Swiss International Air Lines, Kuwait Airways, Air India and Thai Airways also fly through Muscat International Airport. The Muscat area is well serviced by paved roads and dual-carriageway connects most major cities and towns in the country. Since November 2015, Public transportation in Muscat has been revamped with a bus network connecting most important parts of the city with a modern Mwasalat (earlier Oman National Transport Company (ONTC) buses. Mwasalat buses were procured from VDL Company of The Netherlands and they have several hi-tech features. Route 1 (Ruwi-Mabela) serves people travelling major shopping destinations (Oman Avenues Mall, Muscat Grand Mall, Qurum City Centre, Muscat City Centre, Markaz al Bhaja) and Muscat Airport. Route 2 (Ruwi-Wadi Kabir) serves the residential and industrial district of Wadi Kabir. Route 3 serves the downmarket residential belt of Wadi Adei. Route 4 serves the tourist destination of Muttrah Corniche, Al Alam Palace, National Museum and Port Sultan Qaboos. Route 5 serves the rapidly developing Amerat suburb. Route 6 serves the student community of Sultan Qaboos University (SQU) and the office commuters of Knowledge Oasis Muscat (KOM).